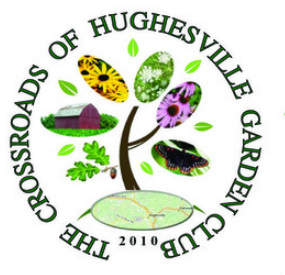 HISTORY The Crossroads of Hughesville Garden Club began in August of 2010 and became Federated with the Federated Garden Clubs of Maryland in February 2011. Our programs are highly educational and include field trip programs in the Summer months. We have a mix of men as well as women, working people and retired. Some members have a vast background in plant related subjects and others are beginners. It's fun! OBJECTIVE To educate members in home gardening and to encourage an interest in all its phases and to promote conservation, preservation and civic beautification of our community. It shall be organized on a not-for-profit basis. MEETINGS The Club meets on the 3rd Monday evening of the month. MEMBERSHIP Members may join the club for $31 annual fee. Click HERE to view some of our members participating in club events and activities. ACTIVITIES Our activites include Home Gardening, Flower Design, Civic Beautification and Conservation/Environment in our community.